New Age Metals Signs Letter of Intent to Option Five Lithium Projects in Southeast Manitoba to Azincourt Energy – New Age Metals Inc.
December 12th, 2017 Vancouver, Canada – New Age Metals Inc. (TSX.V: NAM; OTCQB: PAWEF; FSE: P7J.F) is pleased to announce that it has signed a non-binding Letter of Intent (“LOI”) with Azincourt Energy Corp (“Azincourt”) (TSX-V: AAZ). The LOI allows for Azincourt (NR – Dec 11th, 2017) to acquire up to a 60% interest with the potential to 100%, in Lithium Canada Development (LCD) and/or its equal interest in the individual projects. New Age Metals retains the option of entering into a joint-venture agreement with Azincourt for the remaining 40%. “We are pleased to partner with Azincourt Energy on our Lithium properties. This agreement accomplishes another milestone in 2017 for New Age Metals, which was to find a joint-venture partner for our Lithium Division. When completed, this option joint venture allows management to focus on the continued development of our 100% owned River Valley Project, which is Canada’s largest undeveloped primary PGM Deposit” Harry Barr, Chairman/CEO. Under the terms of the LOI, Azincourt has paid NAM $10,000 and further agrees to pay $200,000 to New Age Metals (NAM) in exchange for a 60% ownership stake of NAMs 100% owned subsidiary Lithium Canada Developments (LCD). This payment of $200,000 will be made by Azincourt in four equal payments over the next 18 months. In addition to this cash payment Azincourt will issue up to 1,000,000 shares to NAM, staged in four equal installments, by the third anniversary of the signing of the definitive agreement. Azincourt has further committed to work expenditures totaling $2.85 million over 3 years, broken down as follows: $500,000 year one, $600,000 year two, $1million year three plus an additional $750,000 to reach the 60% threshold. Upon completion of all stock, property expenditures and cash payments AAZ will also issue a 2% net smelter royalty on all five of the projects to NAM. Under terms of the non-binding LOI the Company must complete its due diligence and enter into a definitive agreement no later than January 15, 2018. To earn 100%, Azincourt must meet additional requirements. Within 90 days of Azincourt earning its 60% in LCD or the projects, NAM has to the option to enter into a joint venture on a 60% AAZ/40% NAM basis using a standard Canadian Junior Mining joint venture agreement. In the event NAM does not elect to enter into the above-mentioned option, then Azincourt must issue an additional 1,000,000 shares to NAM within 15 days of NAM electing not to participate in the Joint Venture. Azincourt must also expend an additional $1 million dollars by Oct 30, 2022 (for a total of $3.85 million), on any of the projects it elects to so long as all projects are in good standing. In the event the Company does not make the $1 million expenditure AAZ percentage will remain at 60%. All securities issued in connection with the property option will be subject to a four-month-and one-day statutory hold period. The property option remains subject to a number of conditions, including negotiation of definitive agreements, approval of the TSX Venture Exchange, and such other conditions as are customary in transactions of this nature. The agreement covers the Lithium One, Lithium Two, Lithman West, Lithman East and Lithman North projects. The land package included in this agreement represents the largest mineral claim holding for Lithium Projects in the Winnipeg River Pegmatite Field with over 6000 hectares of ground. This represents approximately 64 square kilometres of mineral claim coverage. The Winnipeg River Pegmatite Field is host to numerous Lithium-rich Pegmatites in addition to the world-class Tanco Pegmatite, a highly fractionated lithium-cesium-tantalum (LCT) type pegmatite that has been mined at the Tanco Mine as an underground operation since 1969 for Tantalum, Spodumene (a lithium mineral) and cesium (Cs). The Lithman West and East projects are adjacent to the Tanco Mine Mineral Leases. The additional projects contained in this agreement, Lithman East (adjacent to Tanco) and Lithman North, represent prospective exploration areas that require additional ground work to determine drill targets. Azincourt Energy Corp. is a Canadian-based resource company specializing in the strategic acquisition, exploration and development of alternative energy/fuel projects, focusing on uranium, lithium, cobalt, and other critical energy & fuel elements. NAM’s flagship project is its 100% owned River Valley PGM Project (NAM Website – River Valley Project) in the Sudbury Mining District of Northern Ontario (100 km east of Sudbury, Ontario). Presently the River Valley Project is Canada’s largest undeveloped primary PGM deposit with Measured + Indicated resources of 91 million tonnes @ 0.58 g/t Palladium, 0.22 g/t Platinum, 0.04 g/t Gold, at a cut-off grade of 0.8 g/t PdEq for 2,463,000 ounces PGM plus Gold. This equates to 3,942,910 PdEq ounces. The River Valley PGM-Copper-Nickel Sulphide mineralized zones remains open to expansion. The company has recently completed a drill program on the Pine and T3 Zones. In 2016, the Company acquired the River Valley extension property from Mustang Minerals which added approximately 4 kilometres to the project’s mineralized strike length to the southern portion of the intrusion. The Company has five pegmatite hosted Lithium Projects in the Winnipeg River Pegmatite Field, located in SE Manitoba. Three of the projects are drill ready. This Pegmatite Field hosts the world class Tanco Pegmatite that has been mined for Tantalum, Cesium and Spodumene (one of the primary Lithium ore minerals) in varying capacities, since 1969. NAM’s Lithium Projects are strategically situated in this prolific Pegmatite Field. 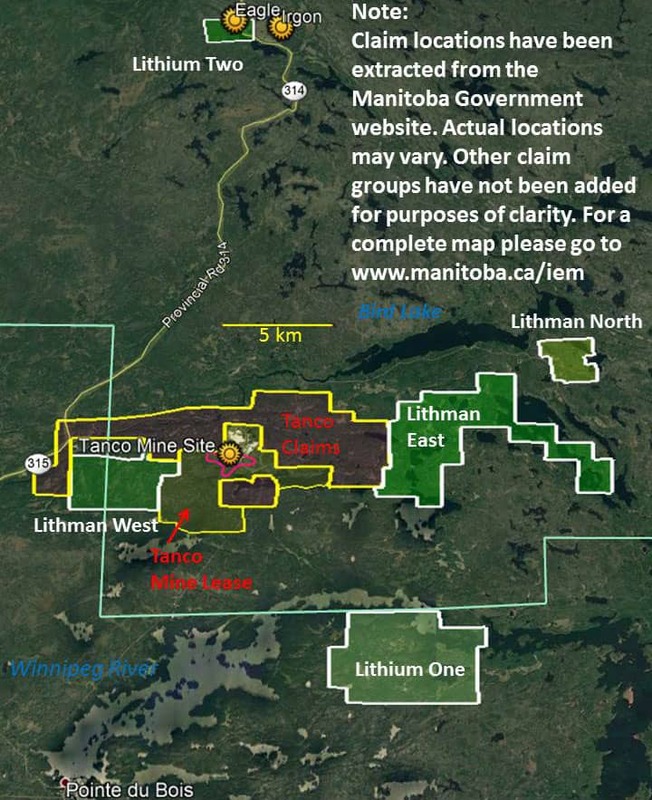 Presently, NAM is one of the largest mineral claim holders of Lithium Projects in the Winnipeg River Pegmatite Field and is seeking JV partners to further develop the company’s Li division. The contents contained herein that relate to Exploration Results or Mineral Resources is based on information compiled, reviewed or prepared by Carey Galeschuk, a consulting geoscientist for New Age Metals. Mr. Galeschuk is the Qualified Person as defined by National Instrument 43-101 and has reviewed and approved the technical content of this news release. Cautionary Note Regarding Forward Looking Statements: This release contains forward-looking statements that involve risks and uncertainties. These statements may differ materially from actual future events or results and are based on current expectations or beliefs. For this purpose, statements of historical fact may be deemed to be forward-looking statements. In addition, forward-looking statements include statements in which the Company uses words such as “continue”, “efforts”, “expect”, “believe”, “anticipate”, “confident”, “intend”, “strategy”, “plan”, “will”, “estimate”, “project”, “goal”, “target”, “prospects”, “optimistic” or similar expressions. These statements by their nature involve risks and uncertainties, and actual results may differ materially depending on a variety of important factors, including, among others, the Company’s ability and continuation of efforts to timely and completely make available adequate current public information, additional or different regulatory and legal requirements and restrictions that may be imposed, and other factors as may be discussed in the documents filed by the Company on SEDAR (www.sedar.com), including the most recent reports that identify important risk factors that could cause actual results to differ from those contained in the forward-looking statements. The Company does not undertake any obligation to review or confirm analysts’ expectations or estimates or to release publicly any revisions to any forward-looking statements to reflect events or circumstances after the date hereof or to reflect the occurrence of unanticipated events. Investors should not place undue reliance on forward-looking statements. Sign Up to receive Corporate Updates, Newsletters and Third Party Reports. OPT-IN to receive Corporate Updates, Newsletters and Third Party Reports. Sign Up to receive Corporate Updates, Newsletters and Third Party Reports. No spam ever. After clicking “Opt In”, check your email to confirm your subscription. New Age Metals Inc. is a mineral exploration company, focused on the Discovery, Exploration and Development of Canada's largest primary Platinum Group Metals (PGM) deposits, The River Valley PGM Project, located in the Sudbury region of Ontario.